I love the Mixed Drinks Stamp Set. There are so many ‘drink’ possibilities with this Stamp Set. Randomly stamp the Gorgeous Grunge stamp in various inks on the card base. 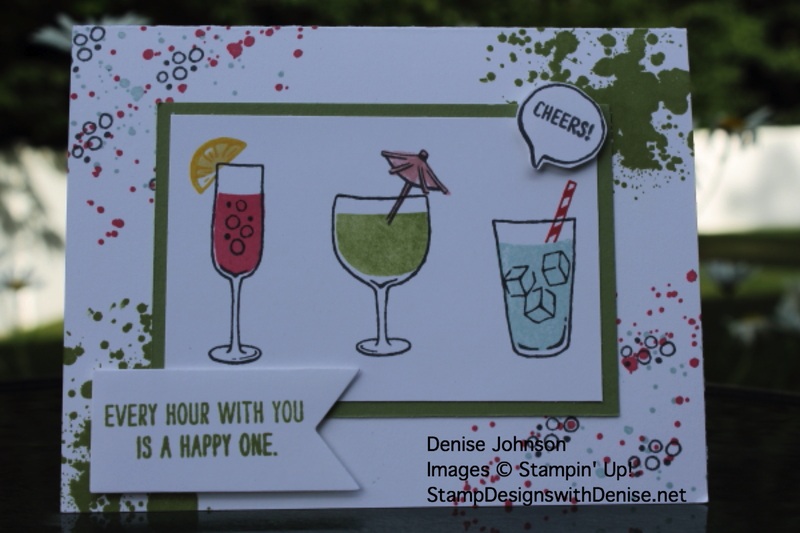 Also stamp the bubbles from Mixed Drinks in Basic Gray on the card base. Stamp the glasses in Basic Gray ink on the Whisper White mat. Stamp the insides of the glasses in Flirty Flamingo, Pear Pizzazz and Soft Sky ink. Stamp the straw in Calypso Coral, the umbrella in Basic Gray, the lemon slice using 2 step stamping in Daffodil Delight and So Saffron. Layer this mat on top of the Pear Pizzazz mat. Layer this on the card base. Stamp the sentiments on scrap Whisper White. Use the Big Shot and the #2 Banners Framelits to cut out the sentiment. Fussy cut out the Cheers sentiment. 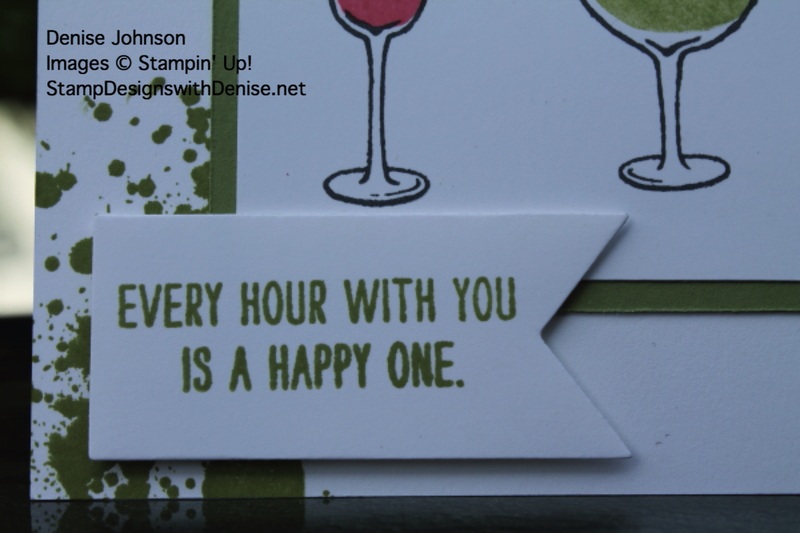 If you have any questions about this card or any thing Stampin’ Up!, please contact me at StampDesigns@comcast.net.